Adapt your camper shell, hard tonneau, or hardtop resin roof to carry gear with this roof-rack system. Locking, Quick Mount legs mount to tracks. Silver, Vortex Aero crossbars accommodate clamp-on and channel-mount gear. 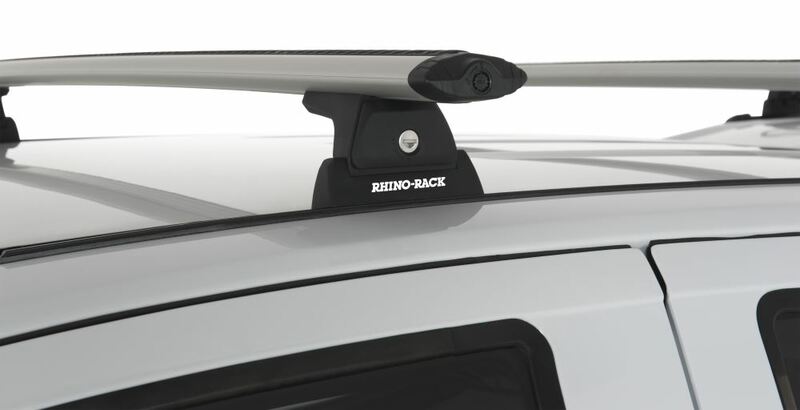 Fastest Shipping and Guaranteed Lowest Prices for Rhino-Rack Roof Rack System w/ 2 Vortex Aero Crossbars - Track Mount - Silver - 54" Long. Read our customer reviews of Rhino Rack ladder racks. Call 800-298-8924 for expert service or order your ladder racks part number Y02-480 by Rhino Rack online at etrailer.com. 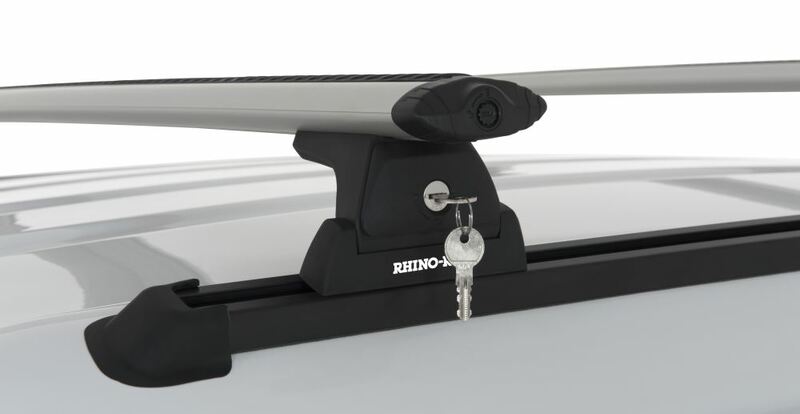 Yes, you will need to lower the headliner ideally to install the tracks of the Rhino-Rack Roof Rack System # Y02-480 on your Snugtop camper shell but it will work just fine. Once installed you would be able to reinstall the headliner. Not to confuse you but the answer is both... The Rhino-Rack Roof Rack System w/ 2 Vortex Aero Crossbars # Y02-480 has 54 inch long crossbars and 63 inch long tracks that the bars and feet mount into.